Dr. Yanjie Qi is a native of Buffalo, New York. 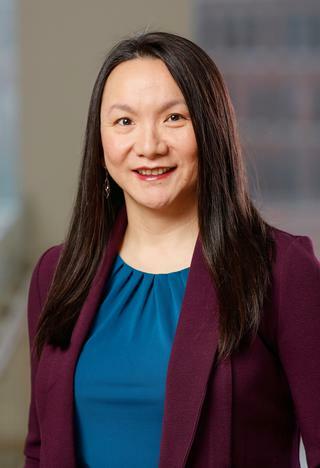 She currently holds the position of assistant professor in the Department of Surgery at the University of Rochester School of Medicine and Dentistry. She is affiliated with both Strong Memorial Hospital and Highland Hospital. Dr. Qi obtained her bachelors of science degree from Yale University. She then completed her medical school degree from the University of Rochester School of Medicine. Dr. Qi continued her medical training at University of Rochester Medical Center and completed a general surgical residency. During her residency, she was given the Resident of the Year Award and selected to be the Administrative Surgical Chief for her final year. She rounded out her medical training with a fellowship in Surgical Critical Care at University of Rochester Medical Center. Dr. Qi holds a medical license in the state of New York. She is certified in general surgery by the American Board of Surgery. She is a member of professional organizations including American College of Surgeons, American Medical Association, Eastern Association for the Surgery of Trauma, and the Society of Critical Care Medicine. Dr. Qi's clinical interests include general surgery, trauma surgery, acute care surgery, and critical care medicine. Qi Y, Stoddard D, Monson JR. "Indications and techniques of transanal endoscopic microsurgery (TEMS)." Journal of gastrointestinal surgery : official journal of the Society for Surgery of the Alimentary Tract.. 2011 Aug 0; 15(8):1306-8. Epub 2011 Jun 07. Qi Y, Gillespie DL. "Venous trauma: new lessons and old debates." Perspectives in vascular surgery and endovascular therapy.. 2011 Jun 0; 23(2):74-9. Epub 2011 Aug 01. Kashyap R, Mantry P, Sharma R, Maloo MK, Safadjou S, Qi Y, Jain A, Maliakkal B, Ryan C, Orloff M. "Comparative analysis of outcomes in living and deceased donor liver transplants for primary sclerosing cholangitis." Journal of gastrointestinal surgery : official journal of the Society for Surgery of the Alimentary Tract.. 2009 Aug 0; 13(8):1480-6. Epub 2009 May 09.